Is The Bluefin Fitness 4D Vibration Plate A Little Too Complex? Bluefin is one of the more well-known names when it comes to great vibration plates – and the Bluefin Fitness 4D Vibration Plate looks set to raise the bar. There is a lot going on in the specification of this model, with all the different motors, settings and other aids. The build and design look more high-end than a typical at-home model. Does this mean that it is all too complex? Or, does this device provide the gym-level workout people want? Is The Bluefin Fitness 3D Vibration Plate Still Easy To Use? 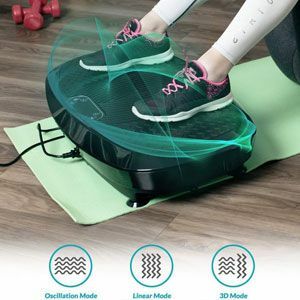 Bluefin is a popular company when it comes to vibration plates, which is why there are sure to be many high expectations of this Bluefin Fitness 3D Vibration Plate. On first impressions, this looks like a big, powerful and perhaps more professional plate than some other options that are available. This should give users a lot of confidence to try it out. But, does it meet everyone’s expectations? 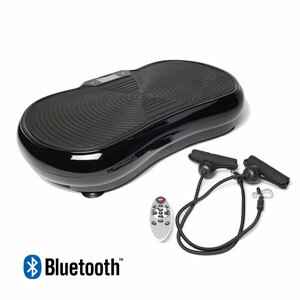 Is The Bluefin Crazy Fit Massage Vibration Plate A Real Improvement? 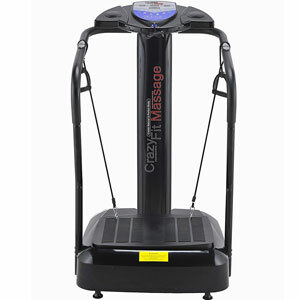 There are many different wobble machines or vibroplates that look like the Bluefin Crazy Fit Massage Vibration Plate. But, not all of them have the same features and promises about their performance. This is big, tough looking vibration palate with a lot of promises about toning muscles, reducing cellulite, improving bone density and more. This is sold as the upgraded model, which leads to some high expectations over the quality and workout provided. Are these expectations met, or is this just a standard old style machine? Is The Bluefin Fitness Bluetooth 2500 Watts Vibration Plate Fitness Machine Improved From Older Model? Vibration plates, such as the Bluefin Fitness Vibration Plate , always seem like a great idea for fitness fanatics that simply want to work on their time and weight loss, rather than a physical workout. One thing that buyers will notice immediately with is model is the fact that this is an updated model. This suggests that it will be even better and more user-friendly, in one way or another. Are Bluefin right to hype up this machine with this “new and improved” label, or is there still work to do here?